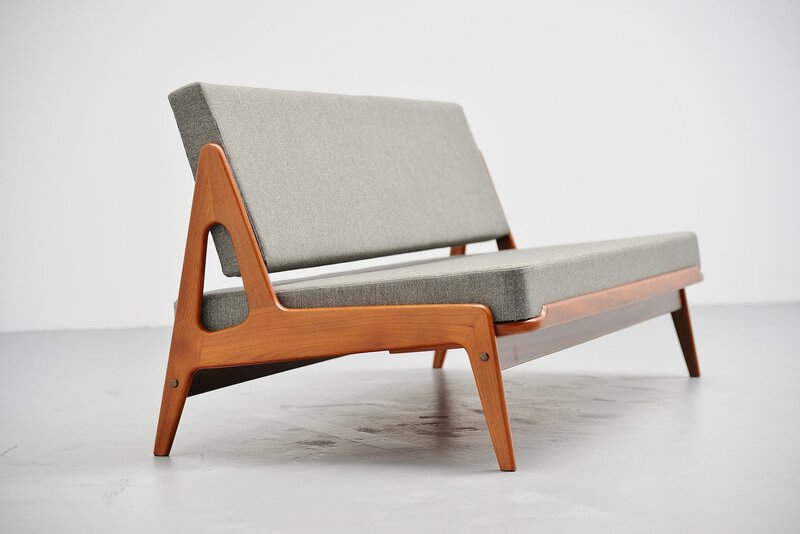 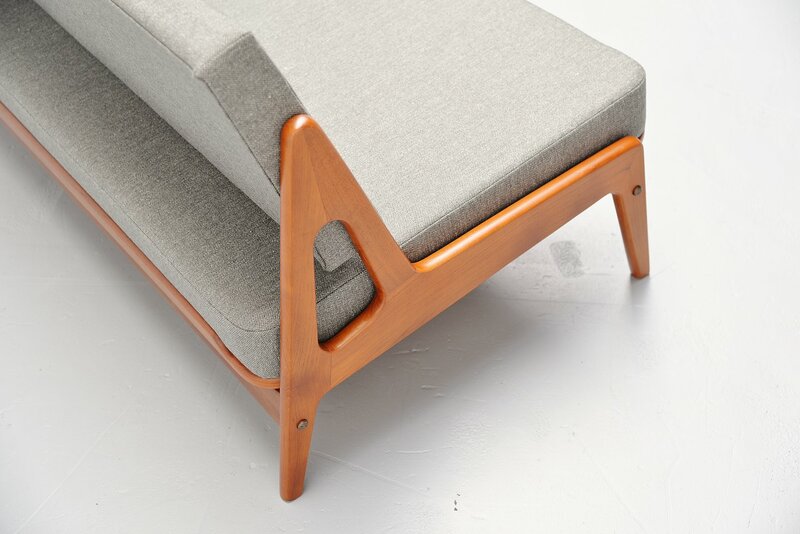 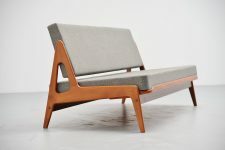 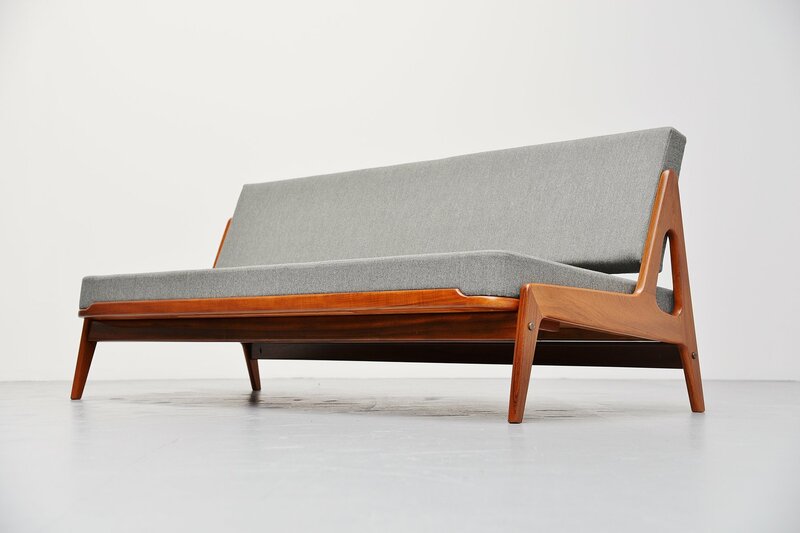 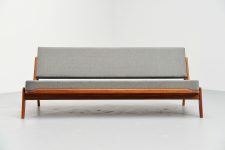 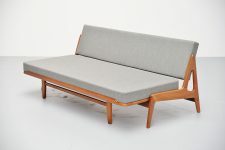 Fantastic shaped sofa / daybed designed by Arne Wahl Iversen for Komfort, Denmark 1960. 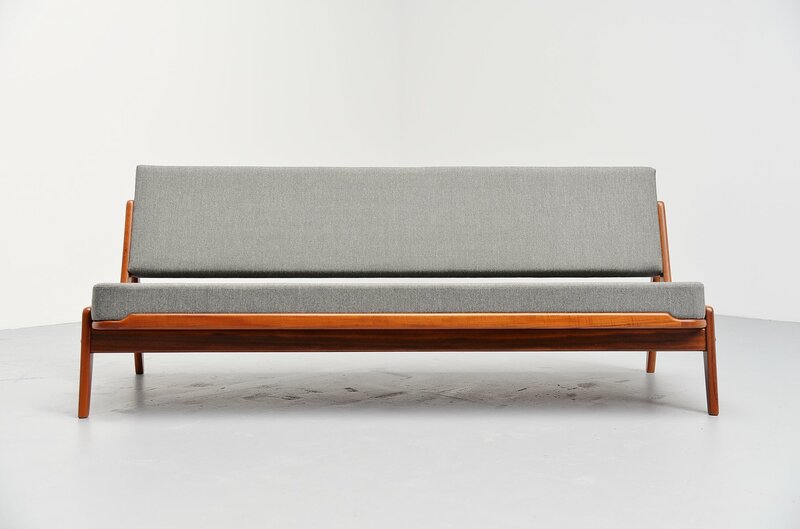 This sofa has a solid teak frame and its newly upholstered with dark grey fabric that matches great with the sofa. 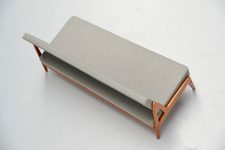 The seat can be extracted very easily so you can use it as a (day)bed. 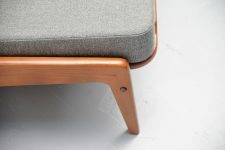 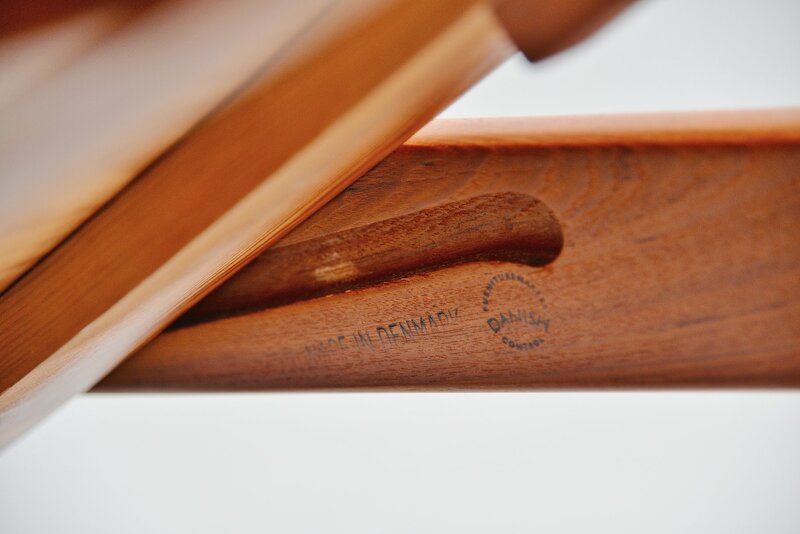 The sofa is in excellent condition and its brand marked on the inside of the legs.